Ampersand Artist Panel Series panels are a wonderful way to experience panel painting on high-quality, durable surfaces. There are three distinct panels in this series, each with a unique surface and quality to help artists engage in their own creative process. Earlier this year, we delved deep into the Unprimed Basswood Artist Panel. Today, we will conclude the Artist Panels 101 educational series by exploring the Primed Smooth and the Primed Canvas Texture Panels. We had a recent question from an artist who is brand new to panel painting. She wanted to know why she should paint on panels and specifically why should she use Ampersand products over other brands. We hear this a lot. With canvas being the “norm” and a plethora of cheap panels available, why would you want to specifically use Ampersand panels for your art? Recently, we had a question about SID effecting the paint on the panel edges. An artist was concerned about paint on the edges of the untreated panel, not cradle, and how that might effect his work long term. Below, Dana Brown answers the question. “The condition of SID is one of acrylic paint and acrylic dispersion ground (acrylic gesso). We make broad recommendations to sealing the painting surfaces of wood, as a separate step from priming, primarily due to the common use of acrylic gesso as a primer, but also to maintain a painting surface that is as acid-free as possible. It is also based on an understanding that proper habits can become good practice when using various materials. We know that sometimes artists will pick up a piece of wood to use as a substrate, not knowing its density or acid-level, and sealing the panel will give the painting a ‘fighting chance,’ of lasting. Because of the differing characteristics of each paint type mentioned, I will address each separately. Acrylics dripped over the edge (that thin, 1/8” thickness) will encounter some level of acids. It will also take on a level of discoloration. Support Induced Discoloration (SID) is not a dark blackening or even a dark browning of the paint film, and it is generally only noticeable in areas of white and generally only in the wettest of applications. This is why it is commonly associated with the applications of acrylic gesso, applied directly onto a wooden support. Areas of color mixtures or darker colors, especially when applied undiluted or more thickly, will not display noticeable discoloration in the same sense. 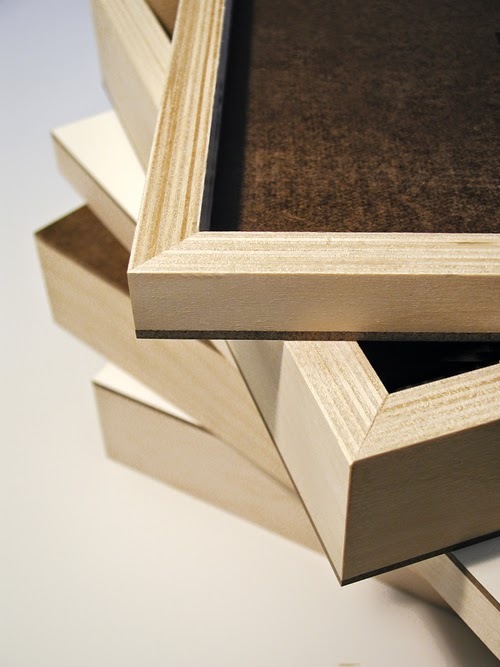 If the entire acrylic painting is done onto an unsealed wooden surface, the levels of acids in the wood (which vary greatly from wood species and type) can cause damage to the artwork. The amount of acid or discoloration from a 1/8” edge is very small and will not put the painting in jeopardy of lasting or any continuous damage. The acid level in our hardboards is nearly neutral at that, and it is one of the reasons that we selected aspen as the overlay for our product. To sum up in reference to acrylic paint, if the drips or painted edge are white, applied quite wet, or thinly, discoloration may be noticeable. To prevent this, you can apply GAC 100 or PVA Size to the edges to create a barrier seal to the exposed, cut edges. For most painters’ practices, the effect of a few drips over the edge of a 1/8” thick panel is not damaging to the artwork or its appearance, and its durability is not at risk. Gouache and oil colors are not susceptible to SID and the reason to carefully seal the panel before priming is again a rule of thumb, put forth by the general practice of acrylic dispersion grounds and acrylic based priming layers. The main issue with gouache dripping over the edge or being painted on the edge of a dark, brown panel is mainly that the edge may not be sufficiently absorbent to give a lasting mechanical bond between the paint and the panel’s edge. Also, the dark, brown tone may cause paint applications to look darker, requiring multiple applications. Pastelbord™ We highly recommend using thin washes of acrylics on Claybord or try Gessobord for a less absorbent panel or Pastelbord for a surface with more texture and a toned ground. Airbrush Claybord™ Claybord is ideal for airbrush. Calligraphy Claybord™ Ampersand recommends Claybord. Gessobord™ Claybord and Gessobord are both appropriate for casein. Egg Tempera Claybord™ Use egg tempera on Claybord. Compare with panels you are preparing yourself. Encaustic Encausticbord™ Encausticbord is made for the unique demands of encaustic painting. Gouache Aquabord™ We recommend Aquabord for gouache. Graphite & Colored Pencils Claybord™ Use graphite and colored pencils with Claybord. Scratchbord™ We recommend Claybord with inks because they can be easily erased and manipulated. Markers Claybord™ Use Claybord with markers and frame without glass. 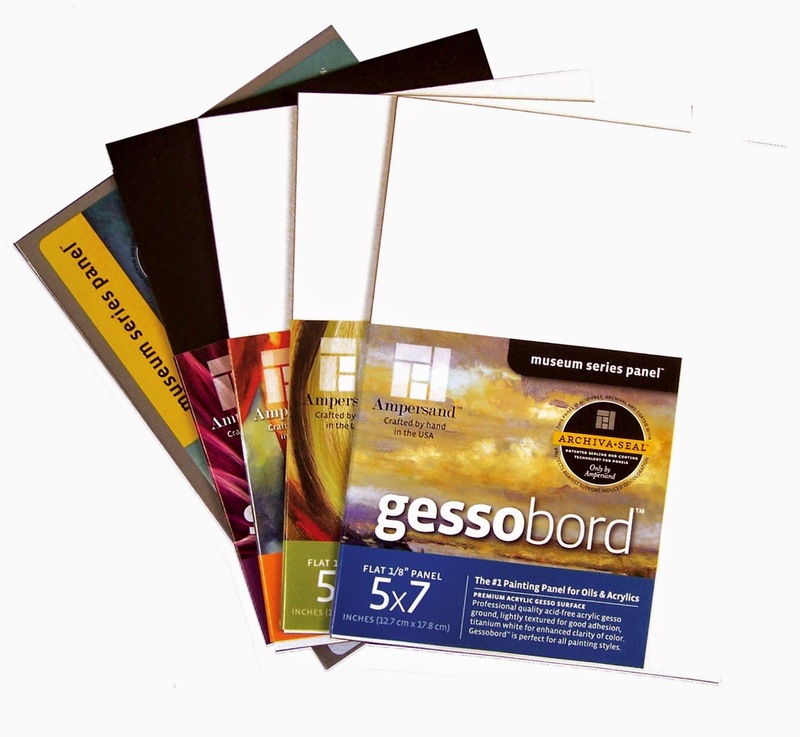 Gessobord™ We recommend Gessobord with oils. Claybord can also be used, but is very absorbent. Pastels Pastelbord™ We recommend Pastelbord with all types of pastels. Scratchboard Scratchbord™ Use Scratchbord as a professional alternative to scratchboard paper. Watercolors Aquabord™ Use Aquabord, similar to cold press paper for very wet watercolor washes. New Retail Store for Ampersand Art Supply panels in Germany!!! Ampersand Panels have settled in Germany full time! A boost for all of you artists who are in Europe wanting to order our products. Kunstpark is now listed on our International Retailer page on our website as well as several other social networks. Since they are primarily an online dealer, you can connect with Kunstpark on Pinterest, Twitter, Google, Facebook and their blog. 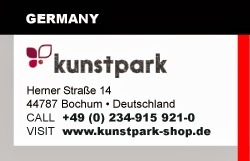 Kunstpark (The Art Park) is a wonderful art store selling all sorts of fine art supplies of the highest quality. The website is a beautifully built resource for explaining how to use products and keeping artists up to date on what they have as well as upcoming workshops. Kunstpark has done a great job of showing our products on their site and explaining the best uses for each type of panel. Thanks for joining us Kunstpark! Ampersand Panels in Deutschland Vollzeit besiedelt! Ein Schub für euch alle Künstler, die in Europa wollen, um unsere Produkte zu bestellen sind. Kunstpark ist jetzt auf unserer International Händler Seite auf unserer Website sowie mehrere andere soziale Netzwerke aufgelistet. Da sie in erster Linie ein Online-Händler, können Sie mit den Kunstpark auf Pinterest, Twitter, Google, Facebook und ihrem Blog verbinden. Kunstpark (The Art Park) ist eine wunderbare Kunstspeicher für alle Arten von feinen Kunstzubehör von höchster Qualität. Die Website ist eine großartige Ressource zu erklären, wie Produkte zu verwenden und halten Künstlern auf dem Laufenden über das, was sie haben und kommenden Workshops. Kunstpark hat einen tollen Job zu zeigen, unsere Produkte auf ihre Website und erklärt die besten Anwendungen für jede Art von Platte. Vielen Dank für Ihre Teilnahme Kunstpark!